The West Indies Cricket Board (WICB) has confirmed that they will host India for a four-match Test series later this summer. WICB president Dave Cameron said that they were waiting for the confirmation of the venues for the Test series, which would likely to take place between July and August. "The official word is that the tour is on. We are just awaiting confirmation of the venues now. And once we have done that, we will send out a release with the dates, the venues and everything," Cameron was quoted as saying by ESPNcricinfo. As a result of tour, the Caribbean Premier League (CPL) might get disrupted, which is expected to begin in late June and will conclude in the first week of August. Cameron admitted that the players featuring in the Test series would not be able to play in the CPL, adding that the board had no other option but to agree to the dates despite the clash. Downplaying the differences between the cricket boards of both the nations, the WICB chief insisted that they had always maintained a cordial relation with the Board of Control for Cricket in India (BCCI). 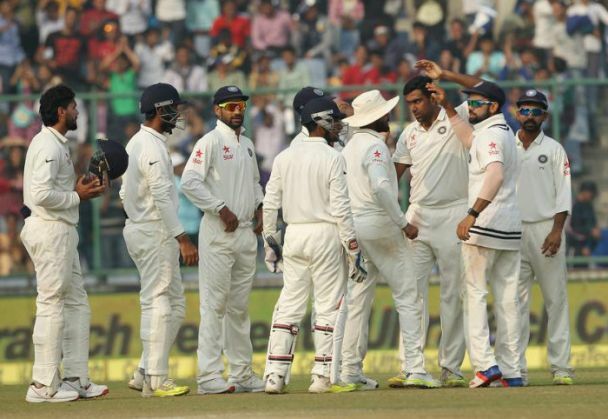 The probable four Tests between the two nations would also end the uncertainty that has surrounded the series ever since the BCCI suspended bilateral engagements with the Caribbean side as a punishment for them pulling out of their tour to India mid-way in late 2014.